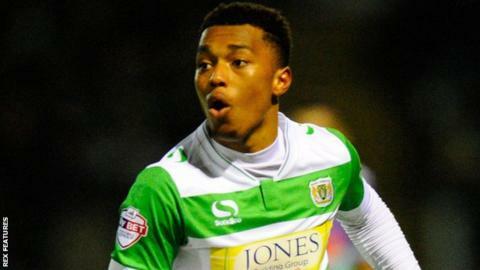 West Brom striker Tahvon Campbell has extended his loan spell at Yeovil Town for a further month. Campbell has scored one goal in 10 games for the Glovers since joining the club in January. The 19-year-old has yet to play for his Premier League parent club, but featured in 15 games on loan at Kidderminster earlier this season. Yeovil are currently 21st in the League Two table, six points clear of the relegation zone.